LAHORE: (Thursday, October 5, 2017): Punjab University and Highnoon Laboratories have signed a memorandum of understanding for provision of financial assistance to the needy students of PU College of Pharmacy. 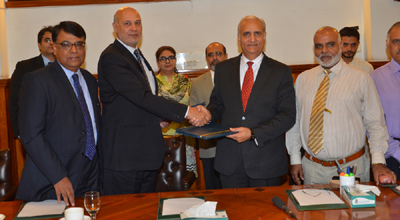 In this regard, an MoU signing ceremony was held at committee room of Vice Chancellor’s office here on Thursday. 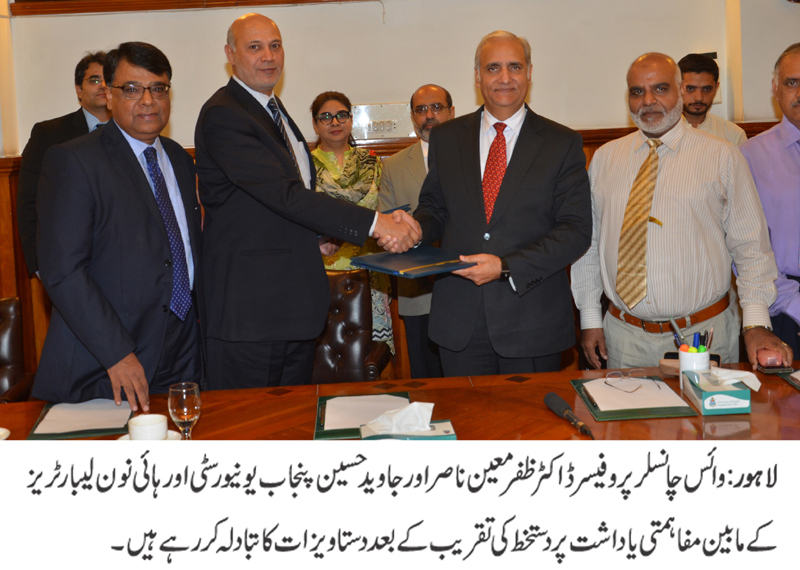 PU VC Prof Dr Zafar Moeen Nasir, Dean Faculty of Pharmacy Prof Dr Khalid Hussain, Principal College of Pharmacy Prof Dr Nadeem Irfan Bukhari, Highnoon Laboratories Chief Financial Officer Javed Hussain and others were present on the occasion. According to the agreement, Highnoon Laboratories would offer scholarships to needy students of the College of Pharmacy and Jawaid Tariq Khan Gold Medal would be awarded to the student securing first position in industrial and pharmaceutical technology subjects. Addressing the ceremony, Dr Zafar Moeen Nasir stressed the need to promote industry-academia linkages so that research products could be commercialized.